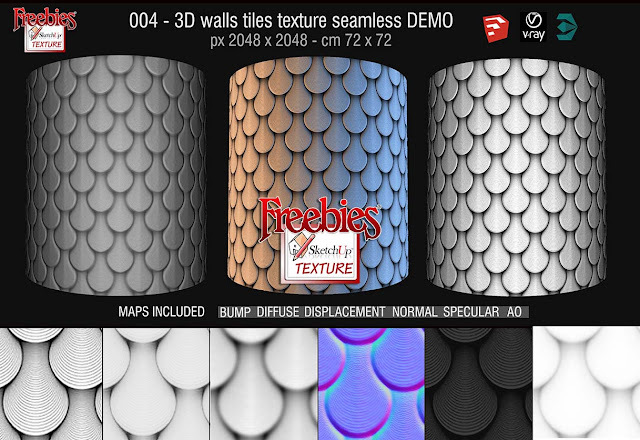 You do not have to register to try, the download is direct ! 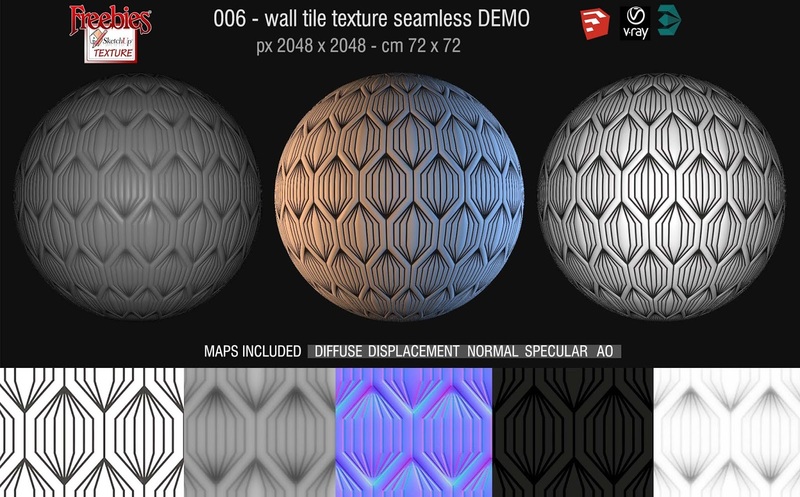 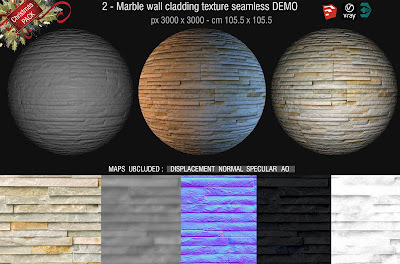 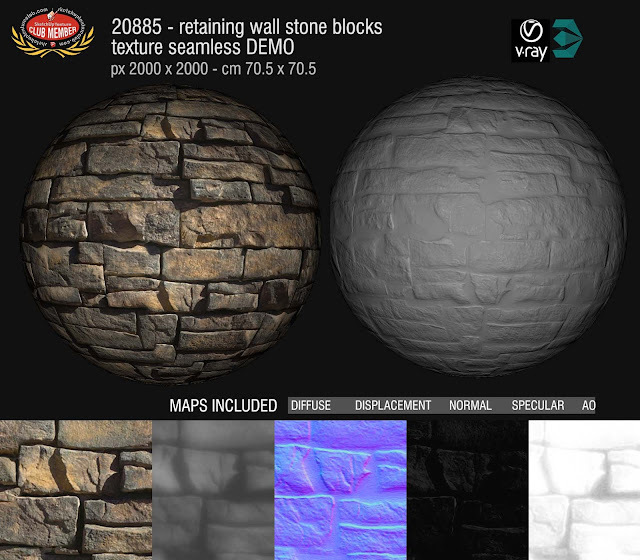 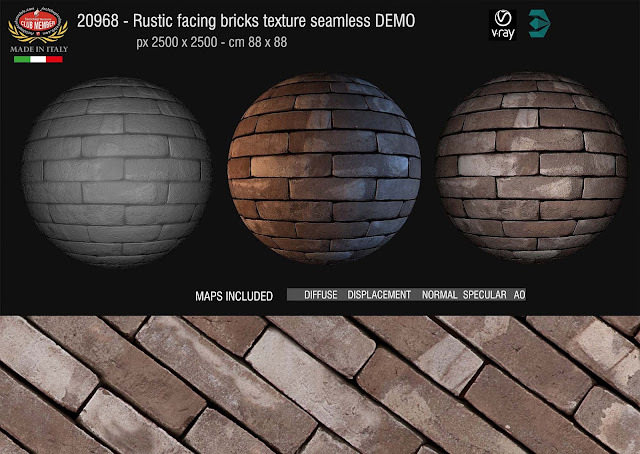 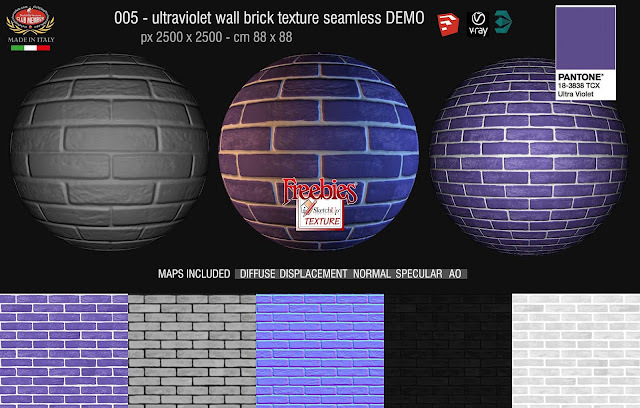 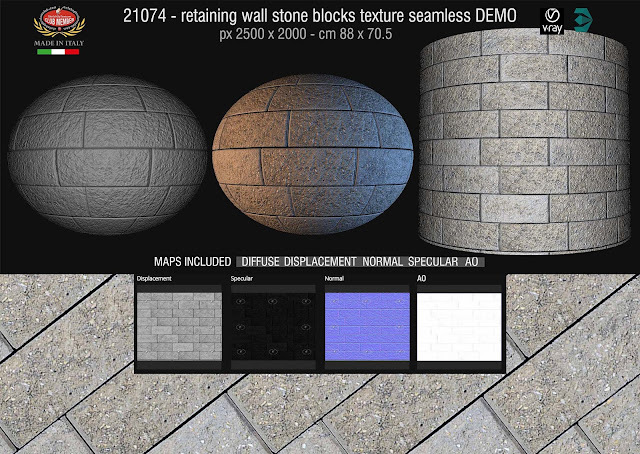 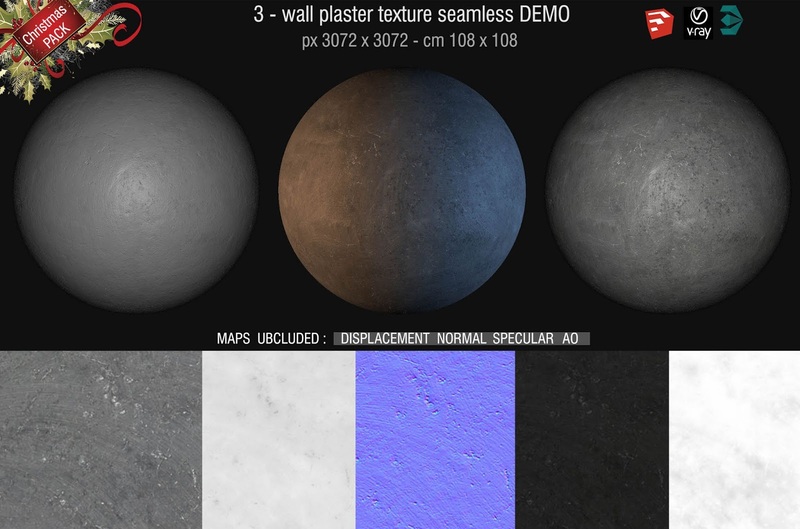 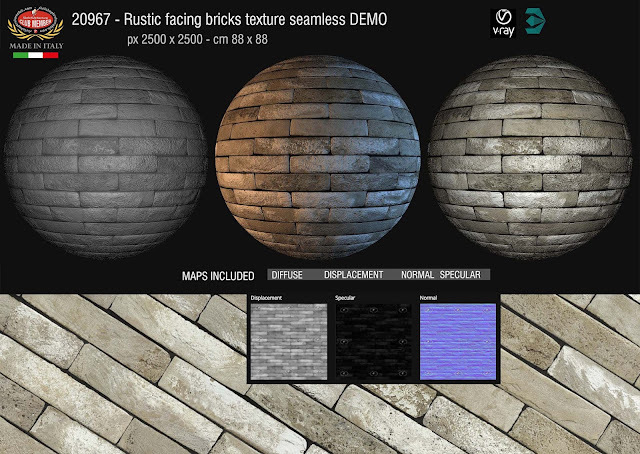 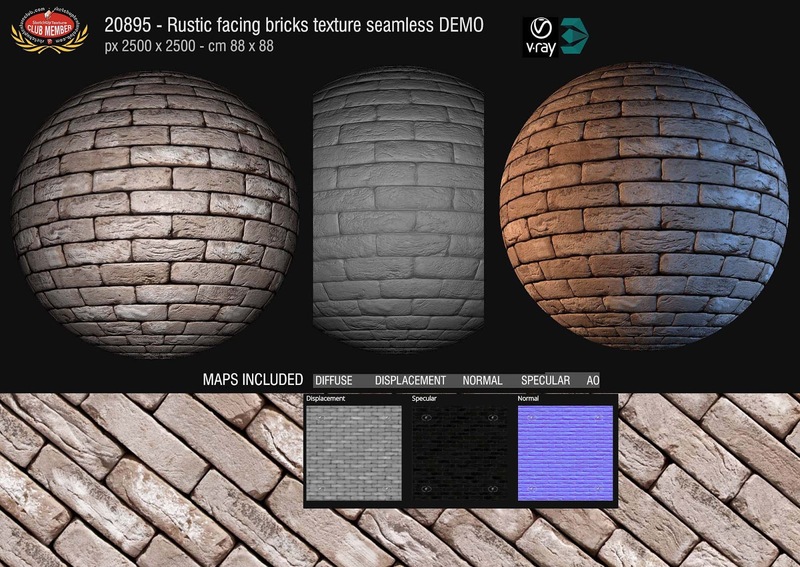 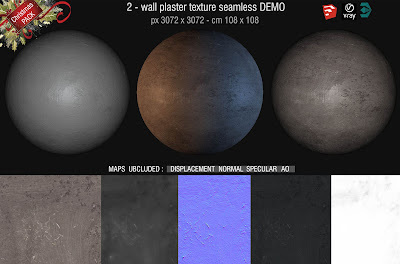 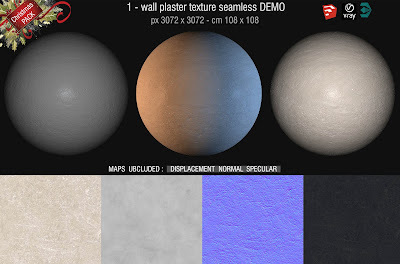 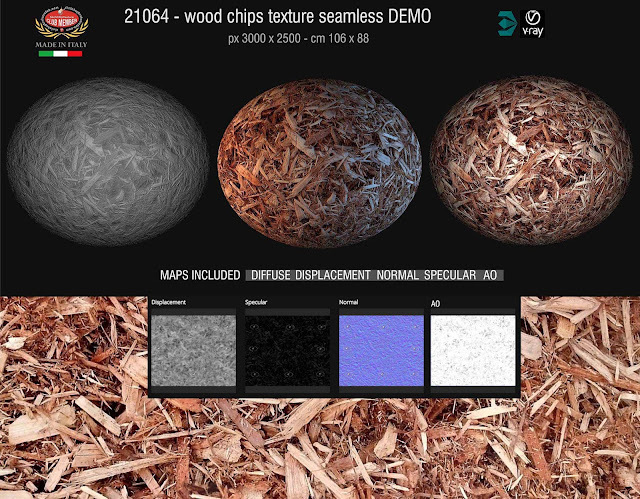 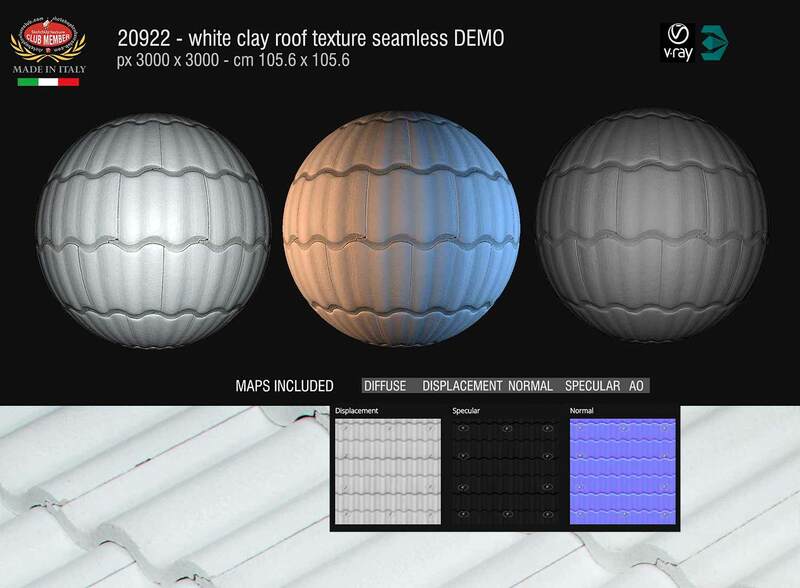 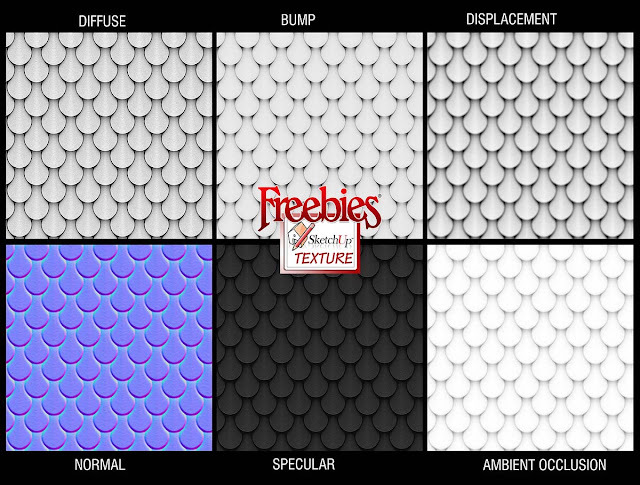 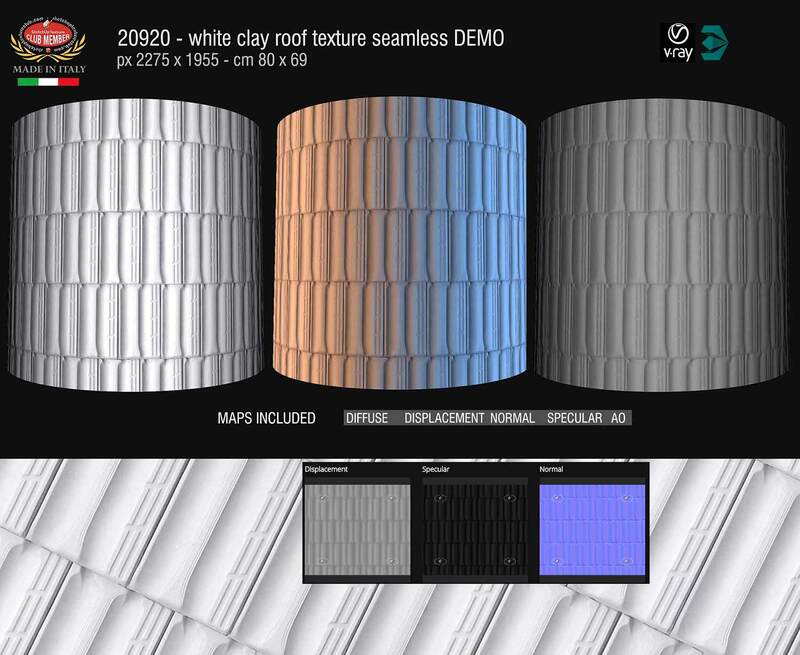 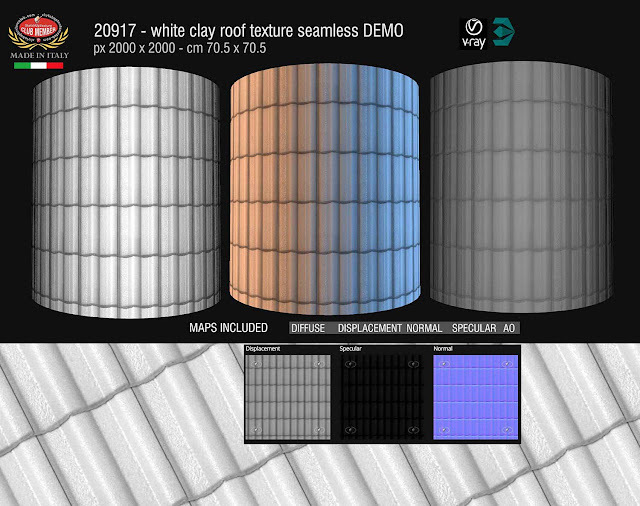 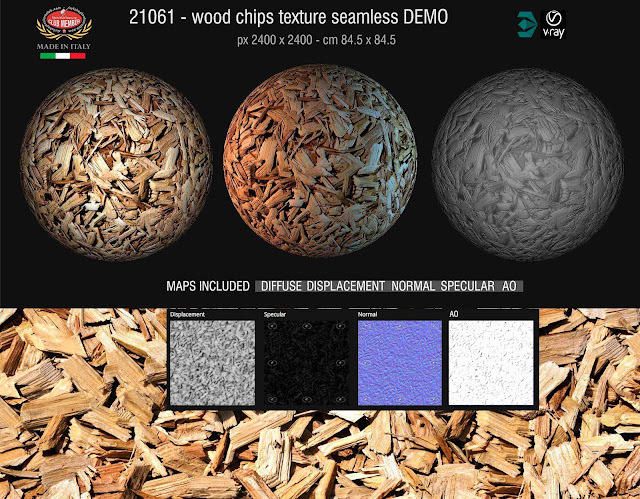 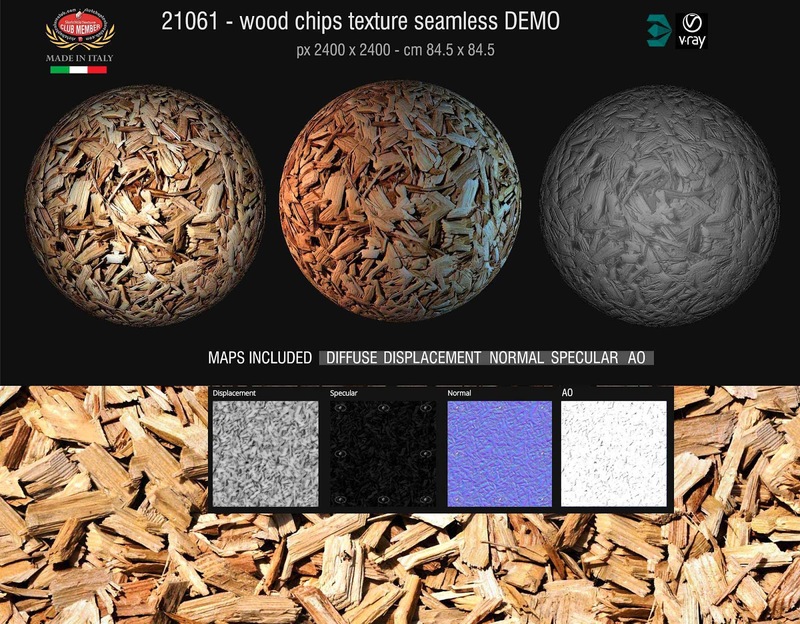 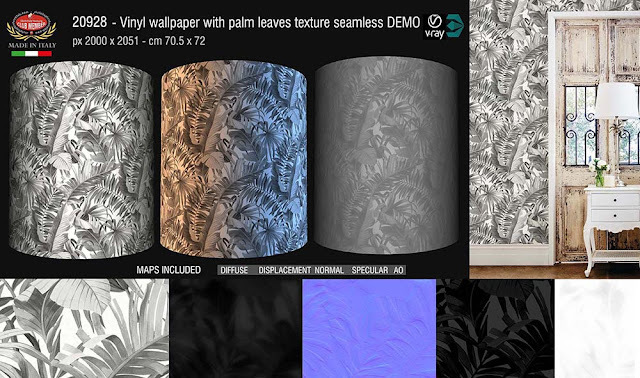 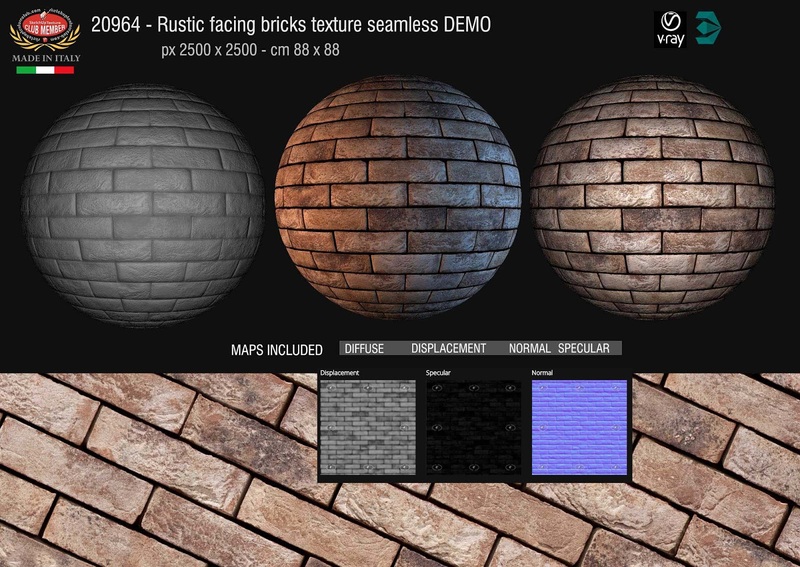 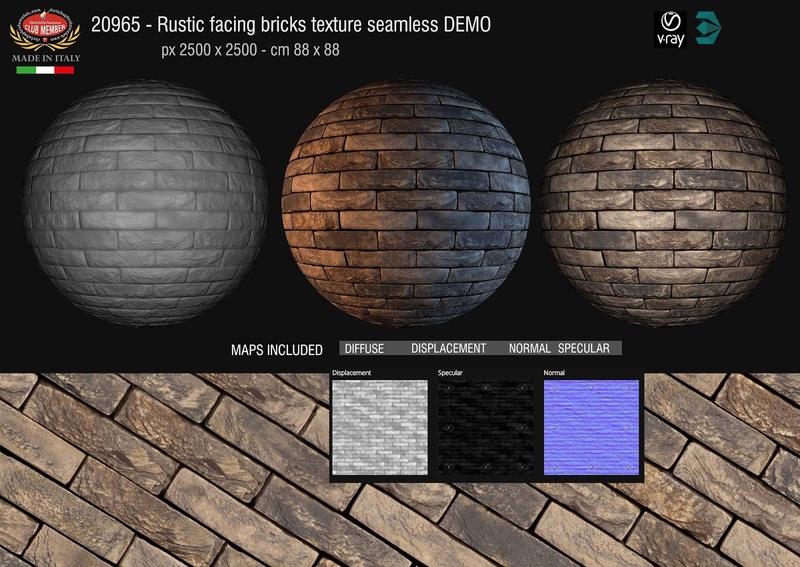 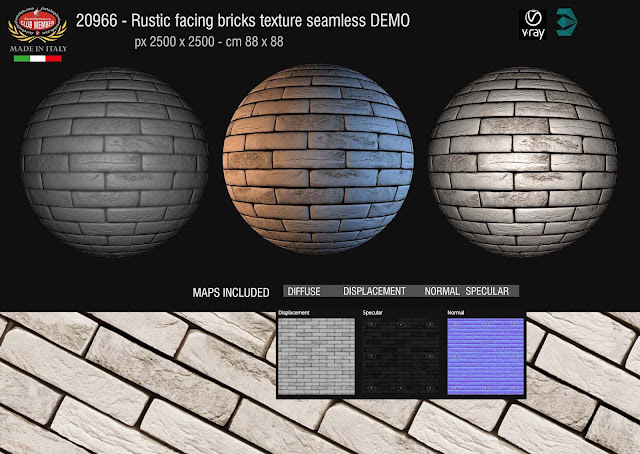 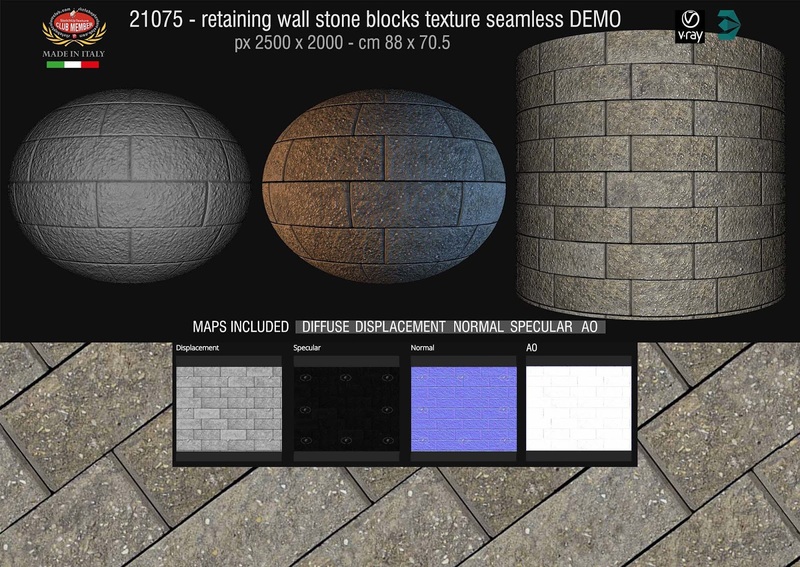 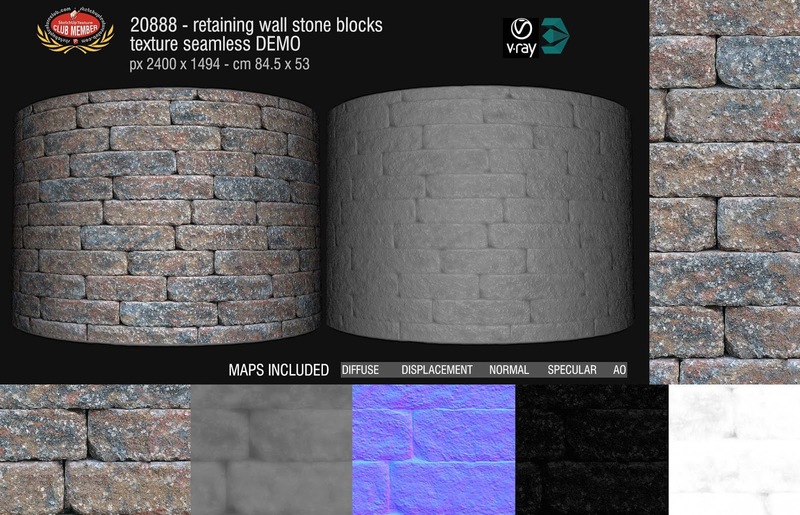 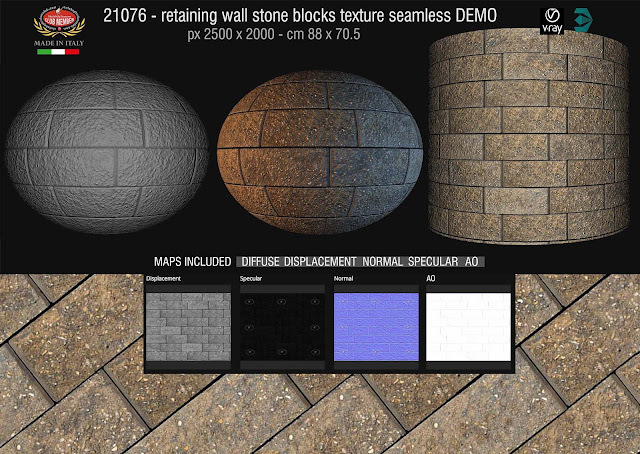 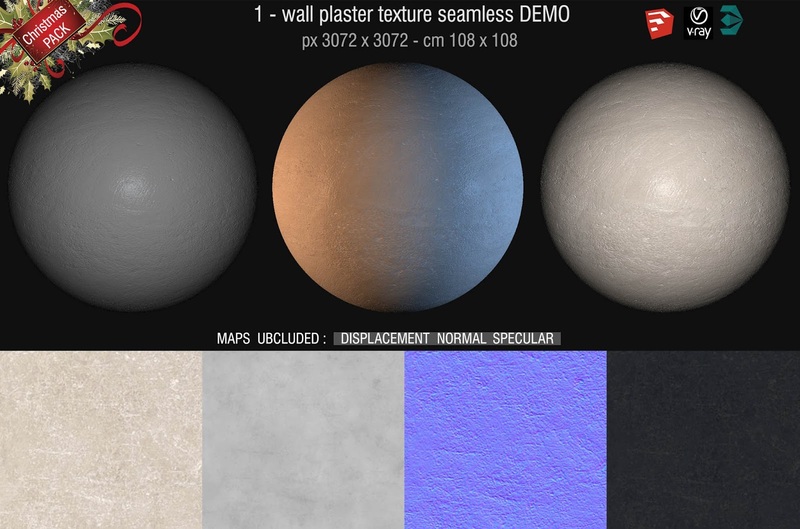 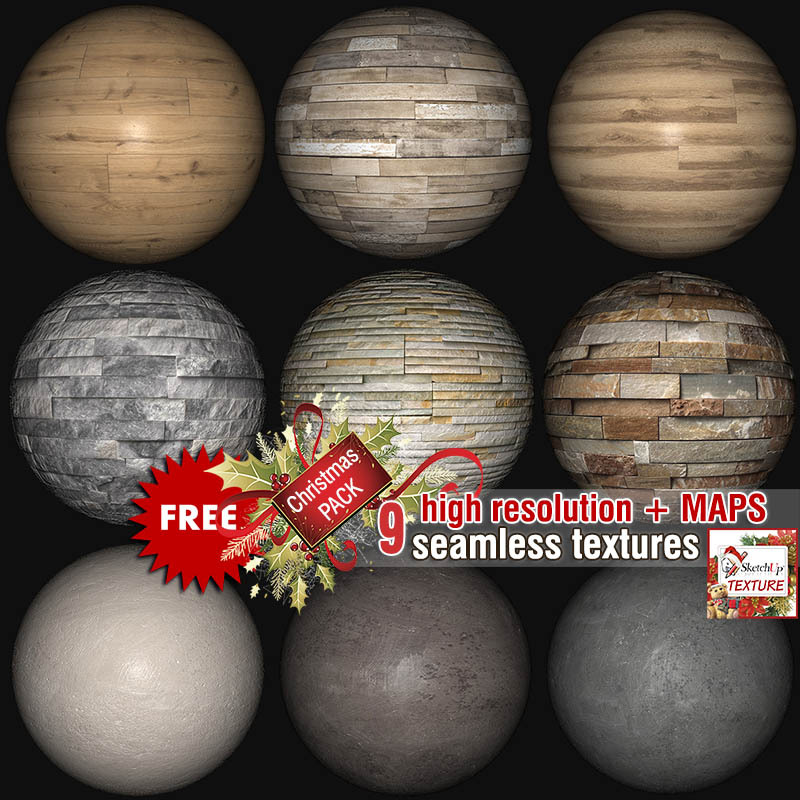 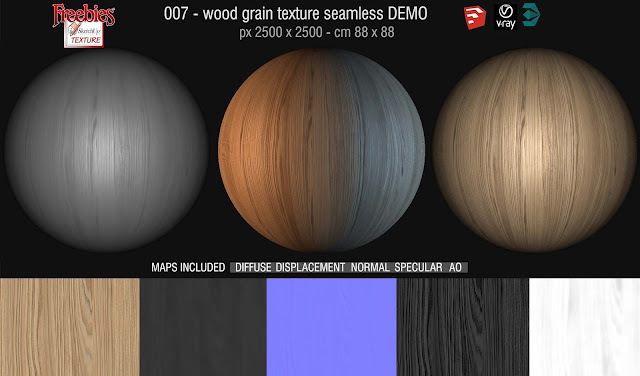 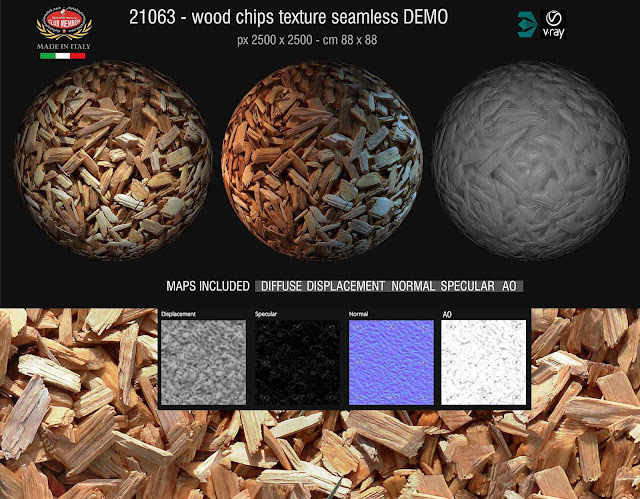 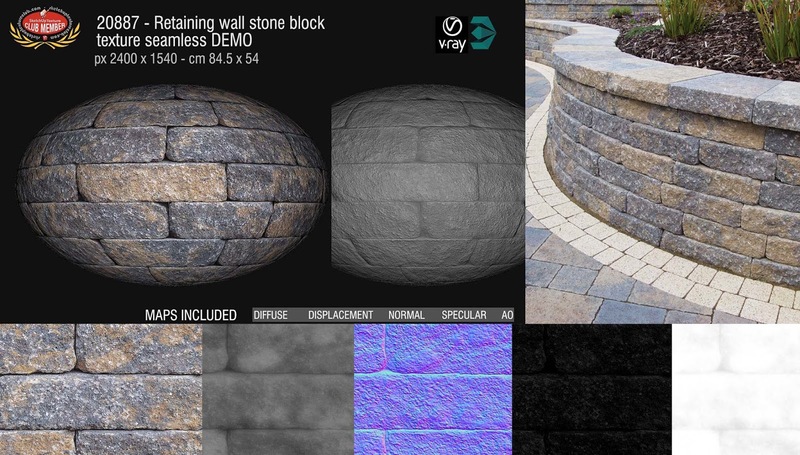 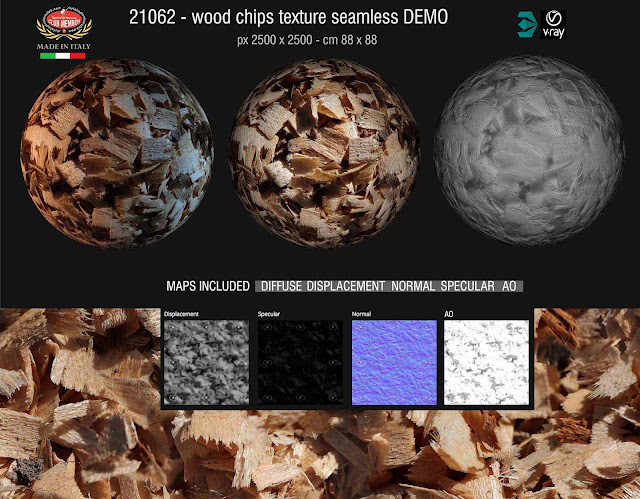 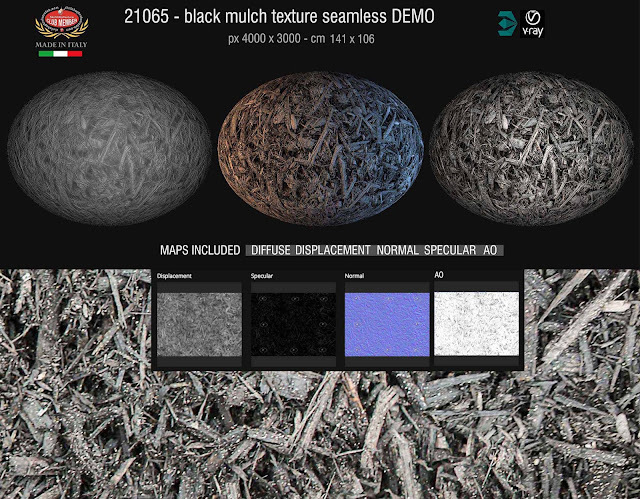 Download this useful package that contains an 3D Wall Tile Texture seamless, complete with maps 16 bit : diffuse, bump, displacement, normal, specular and ambient occlusion. 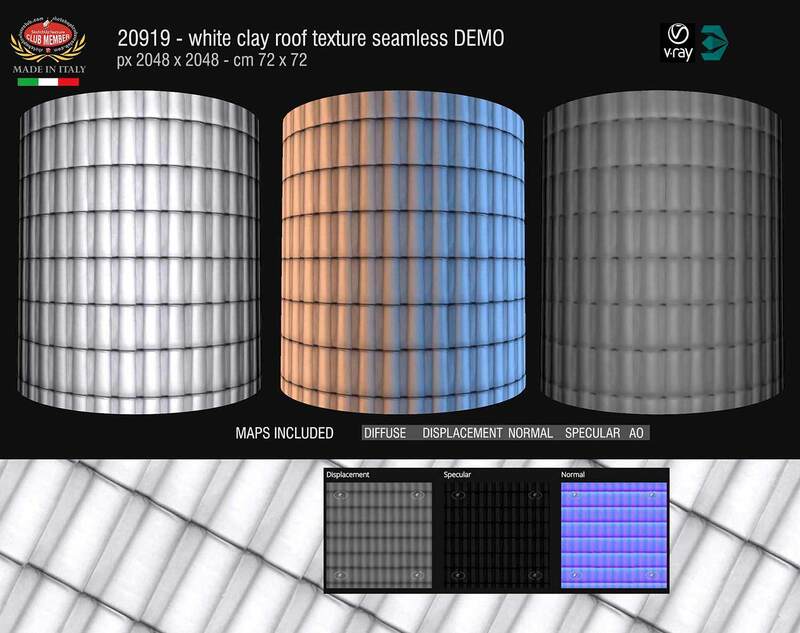 We have developed some seamless textures of white roofs, because New Study Shows White Roofs are Three Times More Effective than Green Roofs at Fighting Climate Change. We encourage you to consider these solutions when you start thinking about your next project. 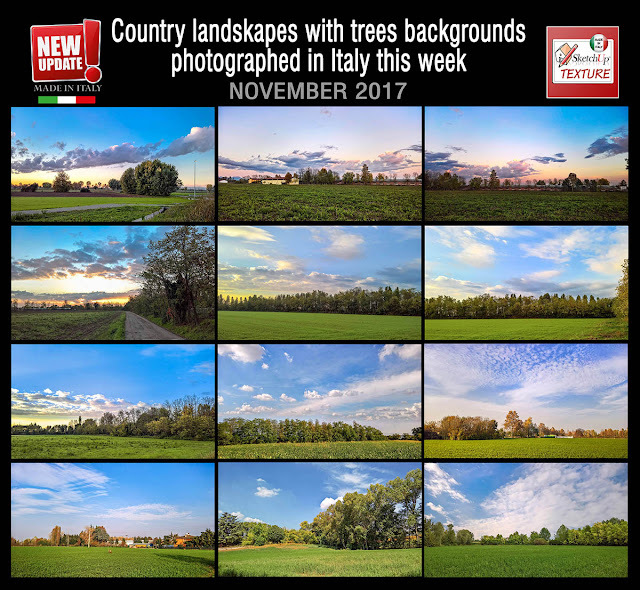 It's long been known that white roofs reflect more heat back into space, reducing the amount of electricity used for A/C and thus drastically cutting down on energy consumption. 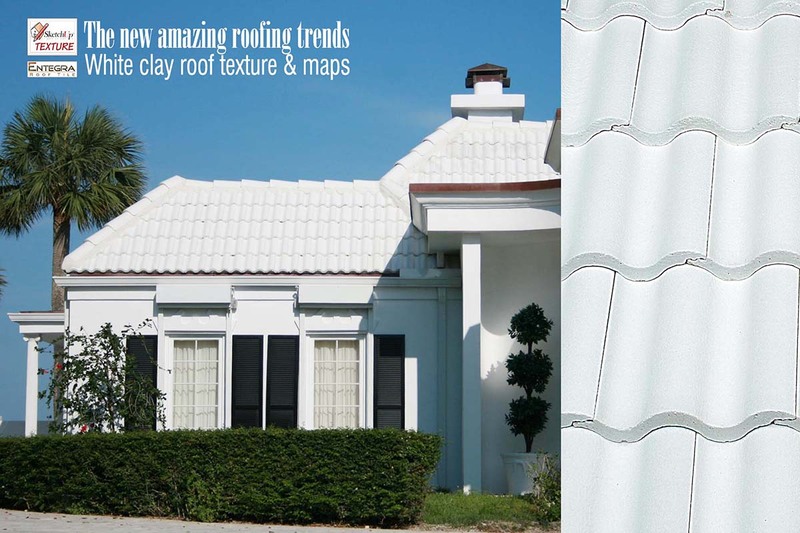 Some estimates say they save billions of dollars annually. 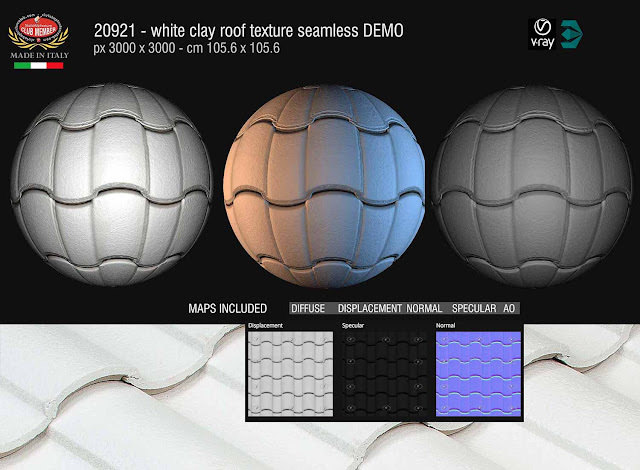 the world should try to have "white roofs everywhere to help fight climate change"
It's such a simple concept that some states, like California, have mandated commercial buildings be constructed with white roofs. 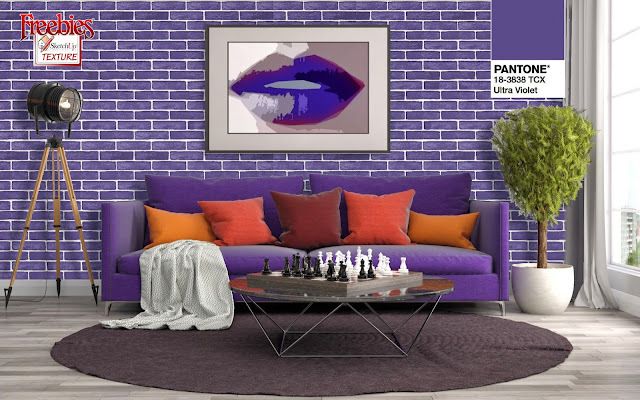 But paler colors shouldn't be restricted to flat roofed commercial buildings, It should also be extended to private homes. 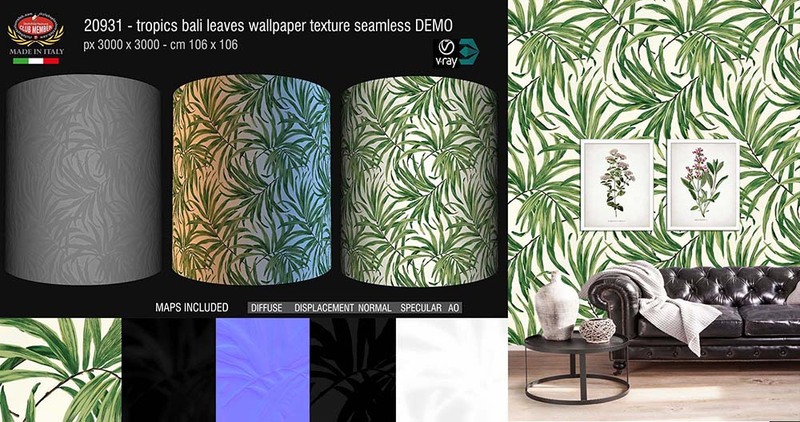 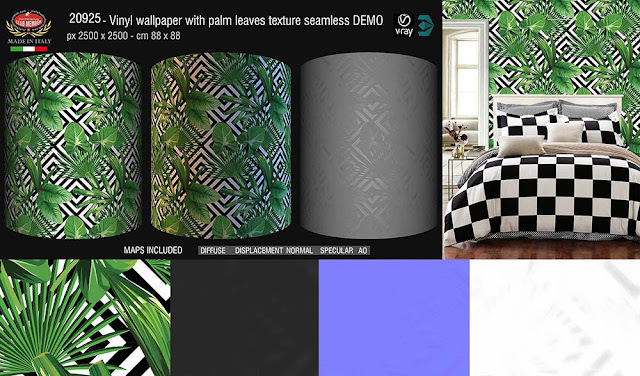 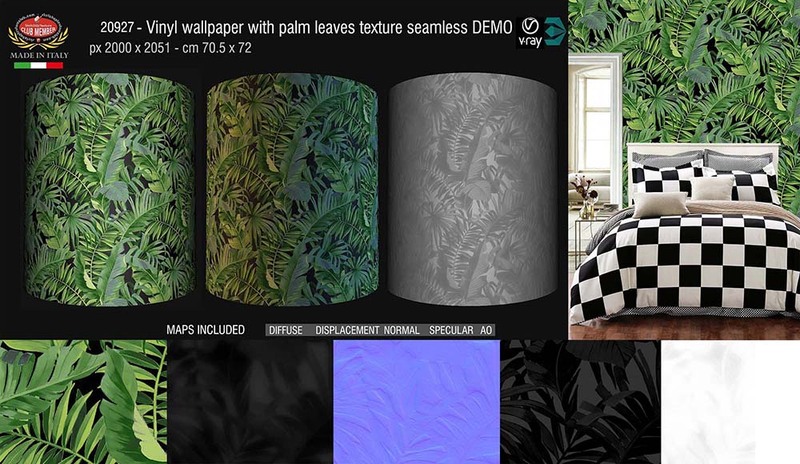 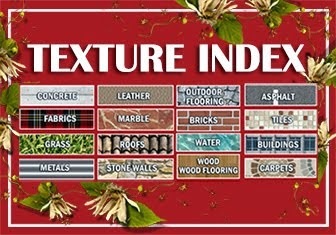 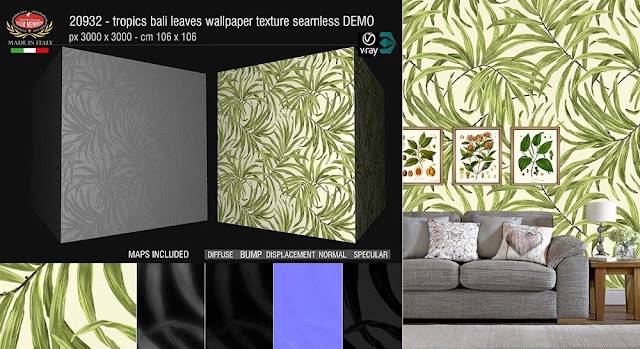 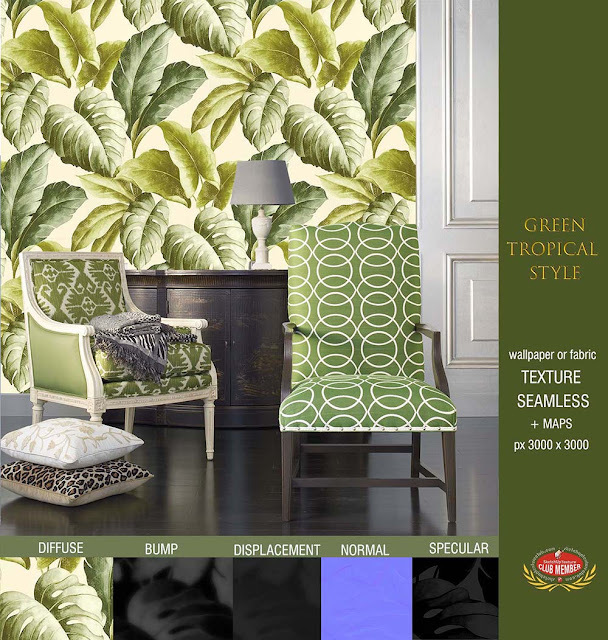 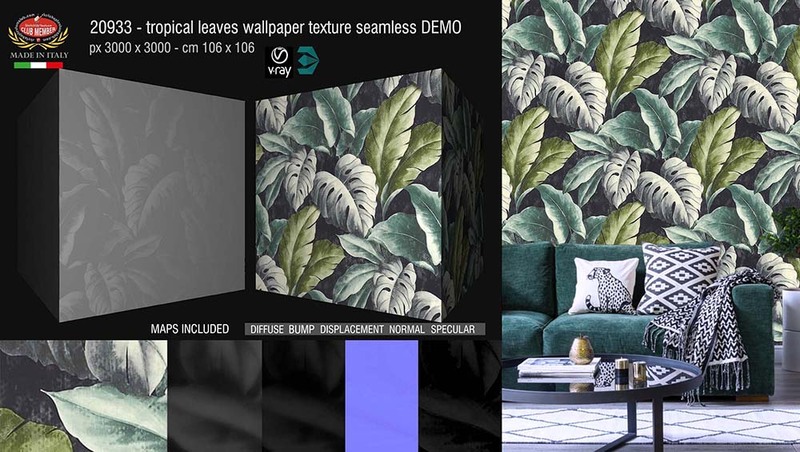 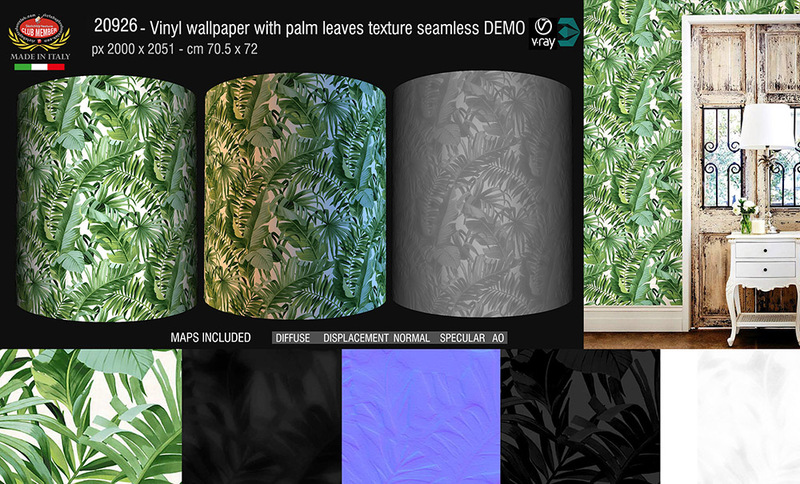 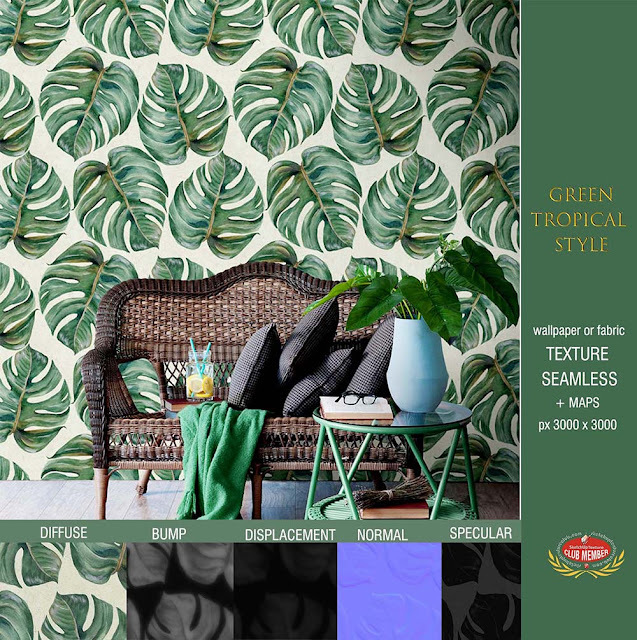 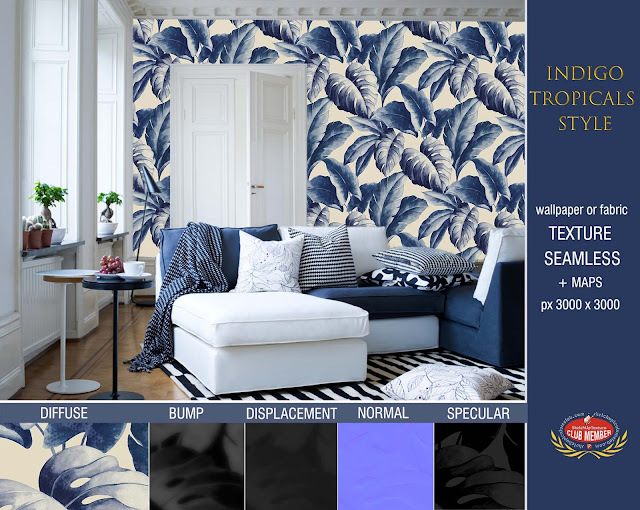 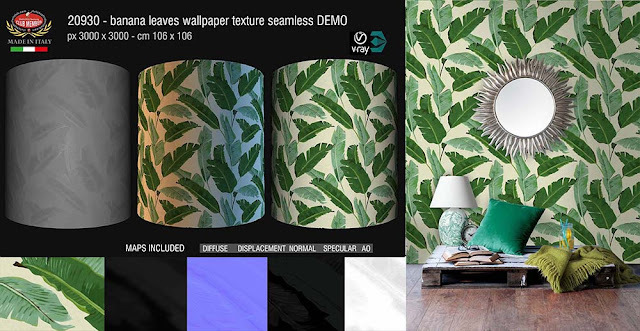 Although greenery was the selected color by Pantone for 2017, this trend is not expected to simply go away, So here is a series of fantastic high resolution seamless textures tropical style, to be used both as wallpaper and as fabrics, in combination with shades of green that will help achieve the perfect interior design. 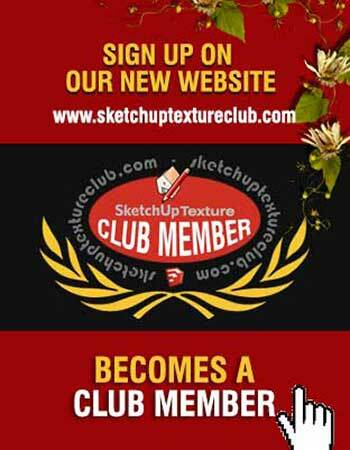 you need to register as a Club member.